There are few drives so scenic and remote as Ebbetts Pass on Highway 4 in the high Sierra Nevada mountains. 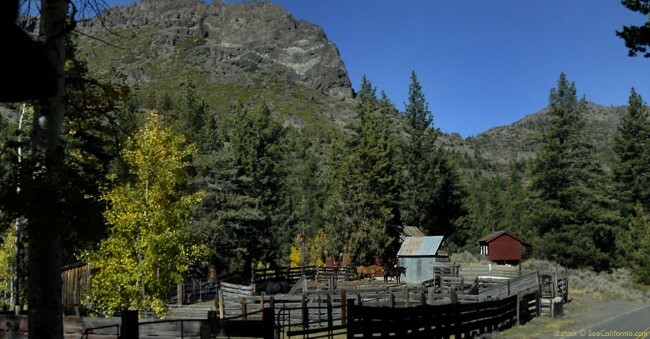 Weaving past historic points of interest such as Scossa Brothers Cow Camp established by four Swiss brothers who came to America in the 1870s, this twisting, winding stretch of Ebbetts Pass between Bear Valley and Markleeville actually shuts down half the year between November and May! Snowmobilers and skiers are jazzed, getting to see Bear Valley Ski Resort come to life as it does each winter. The road doesn’t open till late May, but if wait until July, you may witness the exciting 129-mile Alpine “Death Ride” (deathride.com) on Highway 4. Bicyclists face 15,000 feet of climbing through five mountain passes.